Tuesday: 10 minutes easy, 10 mins @5:00/km, 2 x 3 mins @4:45, 8 mins @5:00, 10 mins easy. This was done at the start time of the race. 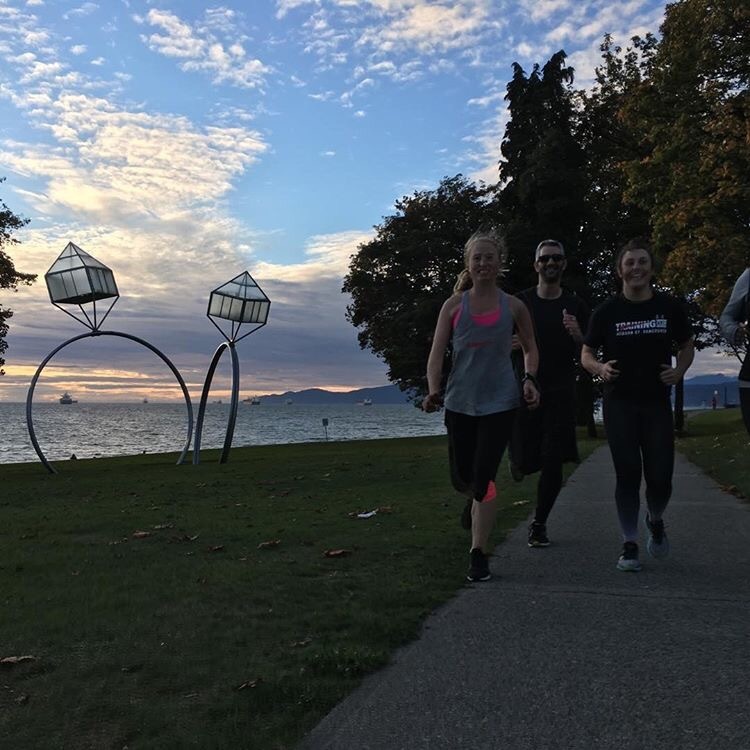 Wednesday: 30 mins easy with The Sport Chek Robson Training Club. Thursday: 10 mins easy, 8 mins @5:00, 3′ @4:50, 90 seconds @4:40, 10 mins easy. This was also done at the time the race would start. Saturday: 20 mins easy. It was pouring rain and I ran to this alley off Granville that is brightly painted in pink and yellow. Sunday: Race Day! I will post a recap about this tomorrow, get ready for a long one! In the meantime, I will continue to lie in bed since I can’t walk very well and eat all the food!